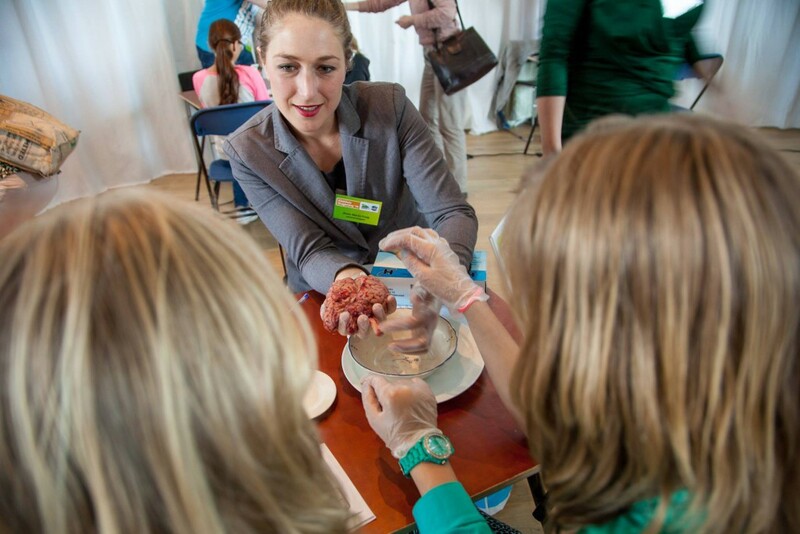 Every year Klokhuis organizes the “Klokhuis vragenda” in the NEMO science center, Amsterdam. On this day, children aged 5 to 12, are given the chance to ask everything on any topic they want. 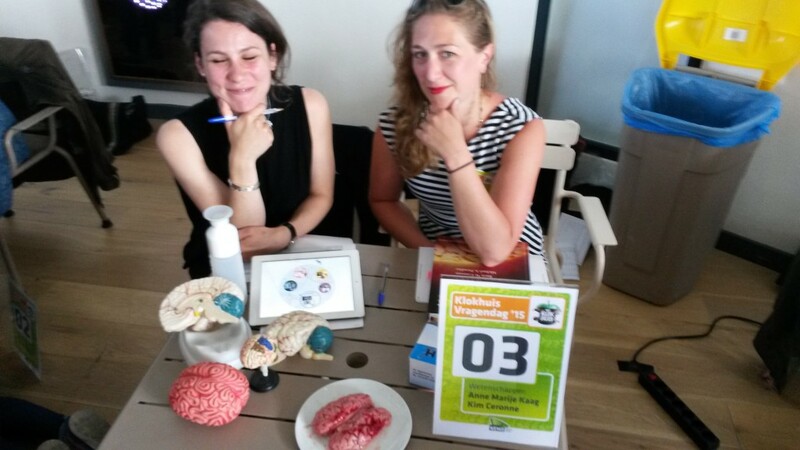 Together with my college Kim Cerrone I tried to answer all kind of questions related to the brain and behavior on the Klokhuisvragendag 2014&2015. This was an amazing experience because children are curious about everything, and they are not affraid to ask anything. Some questions are easy to answer: “Why is the brain wrinkled” (answer: this increases surface area and therefore the brain can contain more brain cells), “Do smarter children have heavier brains?” (Whales have much heavier brains, but are not smarter, so the simplistic answer is no) and “What does the brain feel like” (answer: we can’t explain this, you will have to experience it). 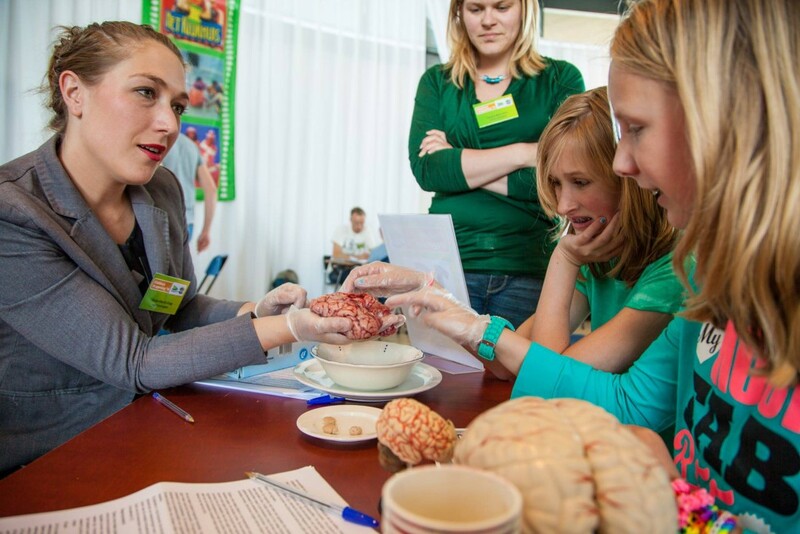 In order to answer the last question we brought a sheep brain, purchased at a local butchery, and asked all the children whether or not they wanted to touch the brain. The children found this scary, amazing, disgusting but they all wanted to try it. In contrast to their parents of which most said “no, this is for the children” thinking it was a perfect excuse not to touch this strange looking piece of meat. Others questions were more challenging: “How does the brain of a cat work?” (our answer that the cat brain worked similar to our brain brain was not very satisfying for the boy asking the question. We continued to talk about the behavior of his cat, and we turned out to be great cat psychologists). Or a 7 year old girl asking “Why do we fall in love?” (answer: “ehhh.. do you know where babies come from? She didn’t… ). And some questions we could simply not answer because we do not know, such as “Why do we think?”. Despite the fact we could not answer all questions to our own satisfaction, the children were excited to hear everything about the mysterious brain and even more excited to touch it!